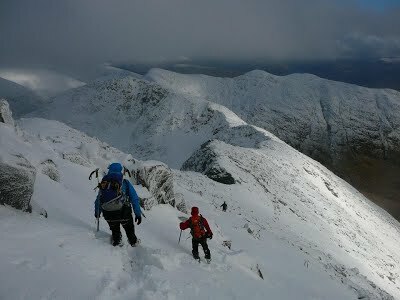 We are an Edinburgh based hillwalking, rock climbing, winter climbing, and ski-mountaineering club. 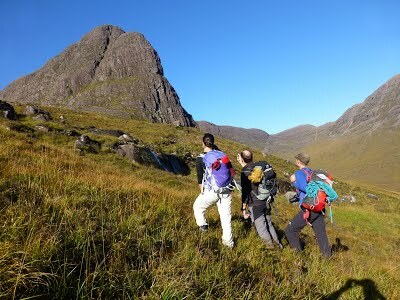 The Jacobites Mountaineering club has a large, active and broad-based membership carrying out a wide range of activities at all levels. 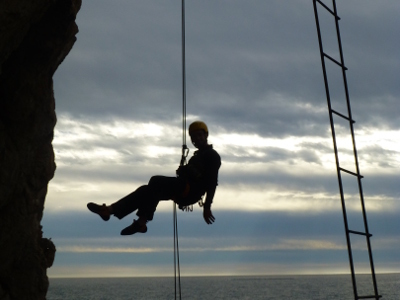 We organise weekend meets throughout the year and evening activities in the summer. We meet every Thursday evening from 9:00pm, at the Cumberland Bar, Cumberland Street, Edinburgh. 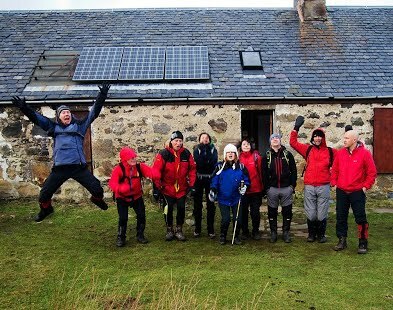 The club includes hillwalkers, Munro baggers, scramblers, indoor and outdoor climbers, winter climbers, skiers, and mountain bikers and cyclists. On most weekend meets there will be people doing a range of these activities, depending on the weather. The club is a great place if you are a hillwalker, for instance, who wants to go out in winter for the first time or a Munro bagger who fancies having a go at climbing as there are always old hands willing to show novices "the ropes". We are also famed for our active social calendar. We have an Annual Dinner Dance where we take over a village hall in the highlands and eat drink and make merry. We also have a Christmas Céilidh, a Burns Supper, Mid-Summer BBQ, and many other events throughout the year. We can always be found every Thursday evening from 9:00pm, at the Cumberland Bar, Cumberland Street, Edinburgh. Our membership ranges from people in their 20s to retirees and from novice to seasoned mountaineer. Benefits of membership, aside from being able to come on meets, include free use of our club hut. The club is affiliated to the Mountaineering Council of Scotland and gets discounts at many outdoors shops. For more information see our membership page. The club was founded in 1974 and was the first club in Edinburgh to allow women to join. We have tried to keep that open and welcoming philosophy ever since. Legends abound about the origins of the club name. The simplest explanation given by founder members is that it simply had a suitably Scottish feel; that and by the time it had been suggested the meeting was more interested in adjourning to the bar! Some more of the history of the club can be read in this article from the MCofS by one of our founding members, Alan Walker. The April orienteering will be on Wednesday 10th April, and will involve part of the fixed course in Vogrie Country Park, and part of a course set by me.